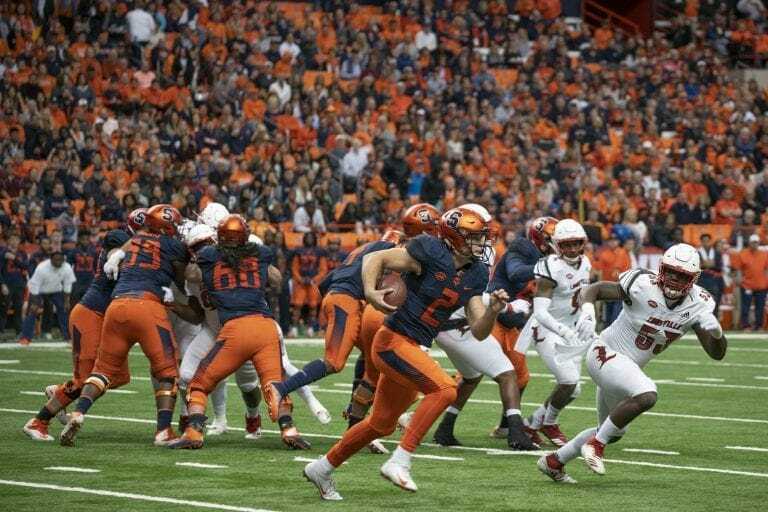 Syracuse fans came to the Dome to watch the 2019 SU football team scrimmage. The Orange will face Clemson on Sept. 14. 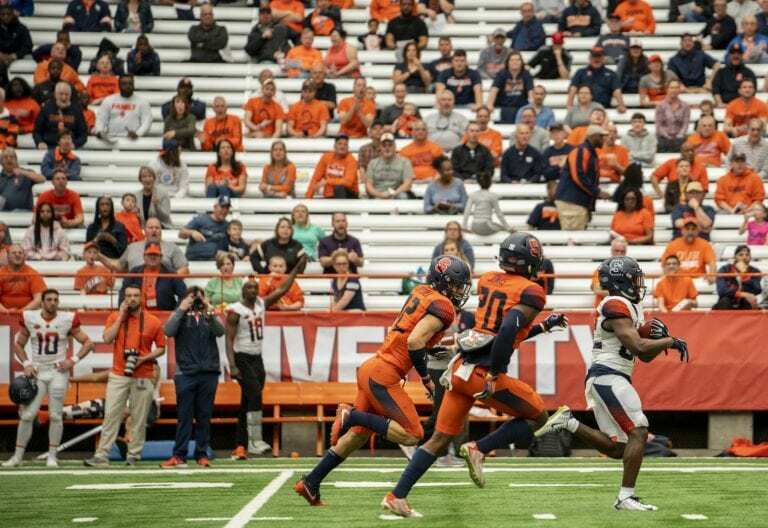 The Orange exploded in the fourth quarter to guarantee a Syracuse victory. 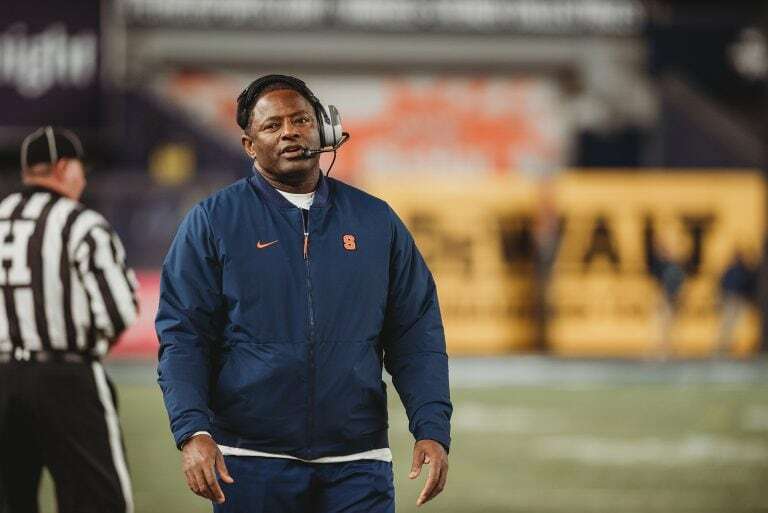 Syracuse’s coach is one of only 12 black head coaches in FBS. Players and experts explain the significance. 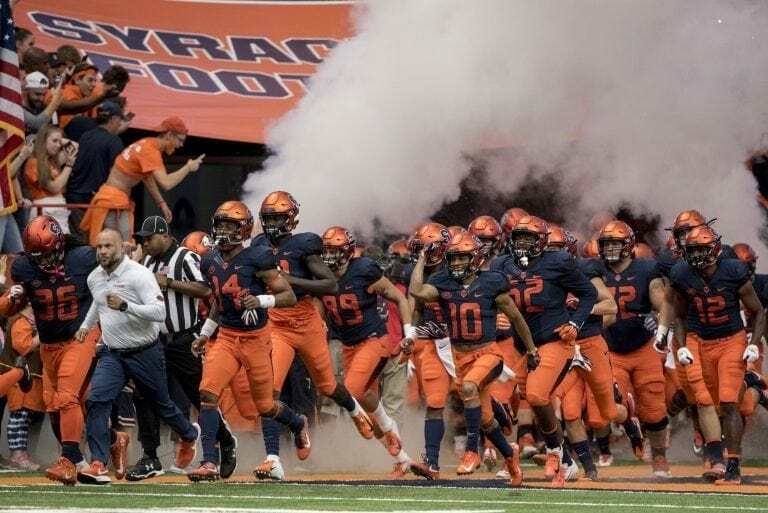 Commentary: Syracuse has the motivation to come out on top against West Virginia. 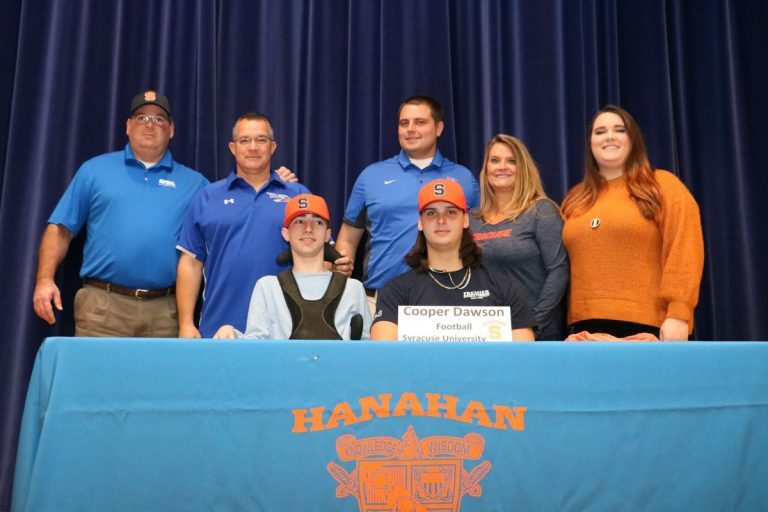 Cooper Dawson, a defensive lineman recruit from South Carolina, allows his close friend Kingsley Feinman to share the moment. 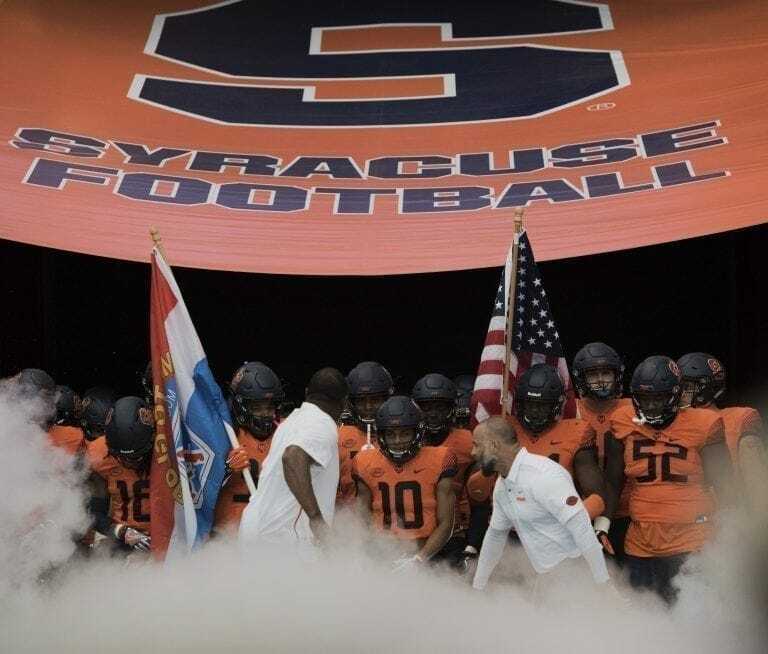 The Orange will face No. 16 West Virginia. 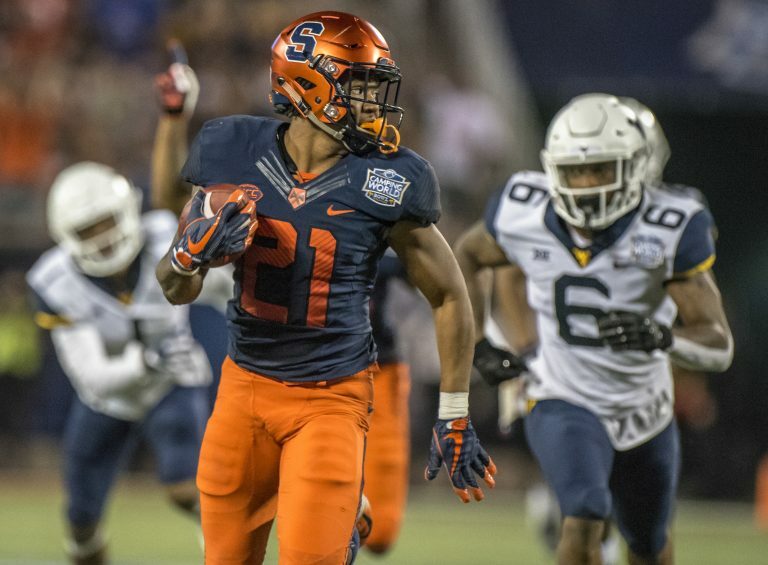 Selection Sunday: Which Bowl will select the Orange? 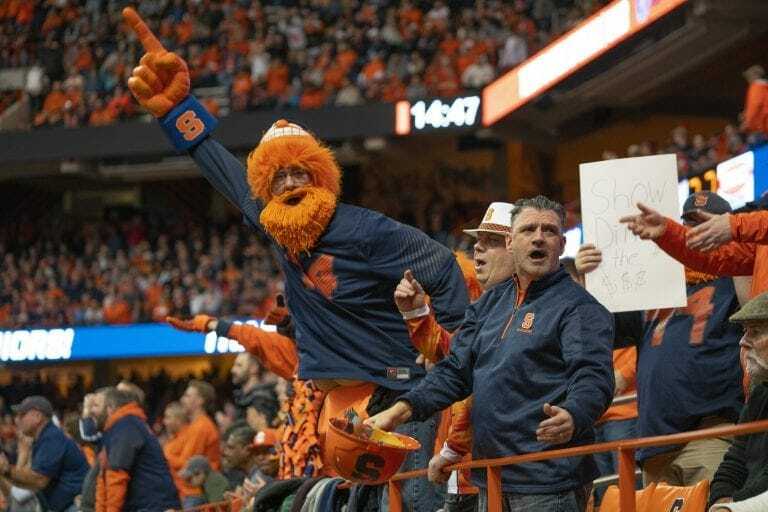 Commentary: The Orange should be gearing up for a trip to Disney World. 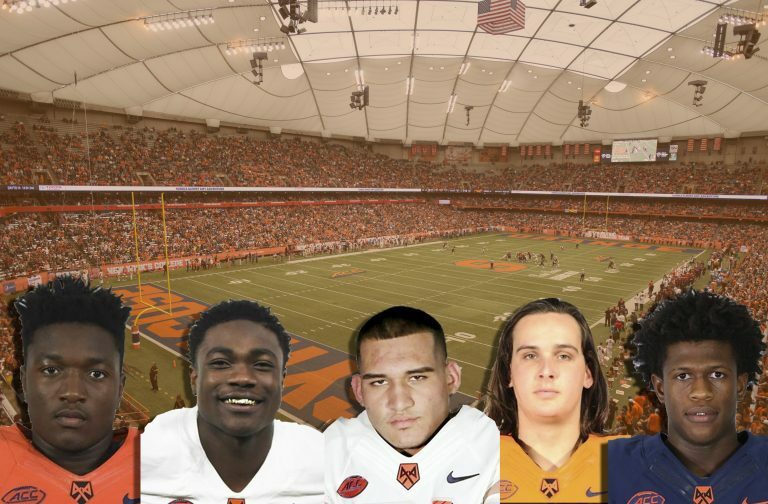 Nine Syracuse football players were named to the All-ACC Football Team, and two received honorable mention.